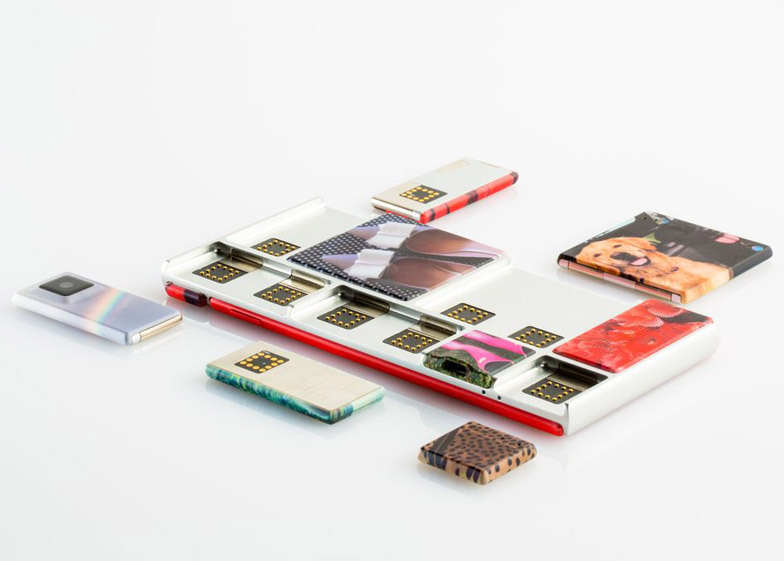 News: Google has unveiled a new prototype of its modular smartphone with swappable components, which the project's design head Gadi Amit says will allow users to "be the designer of their own phone" (+ slideshow). 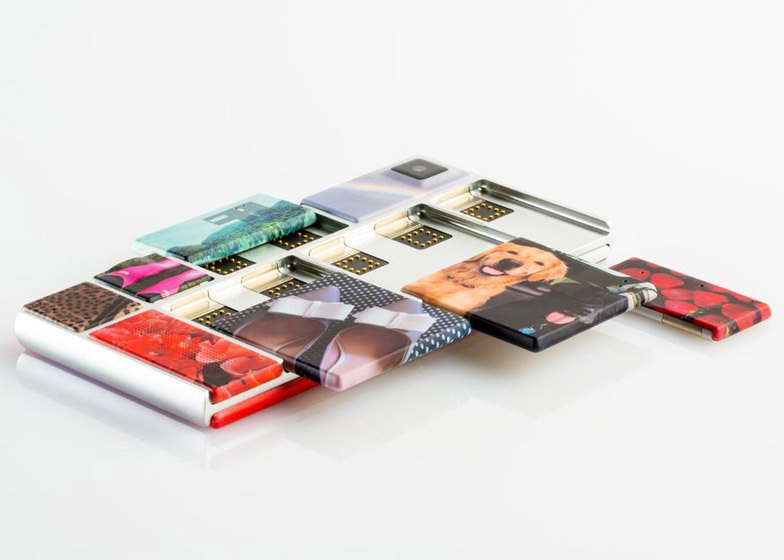 The latest version of the customisable phone concept, named Spiral 2, was presented at the Project Ara Developers Conference in Puerto Rico yesterday – although there is still no release date set. 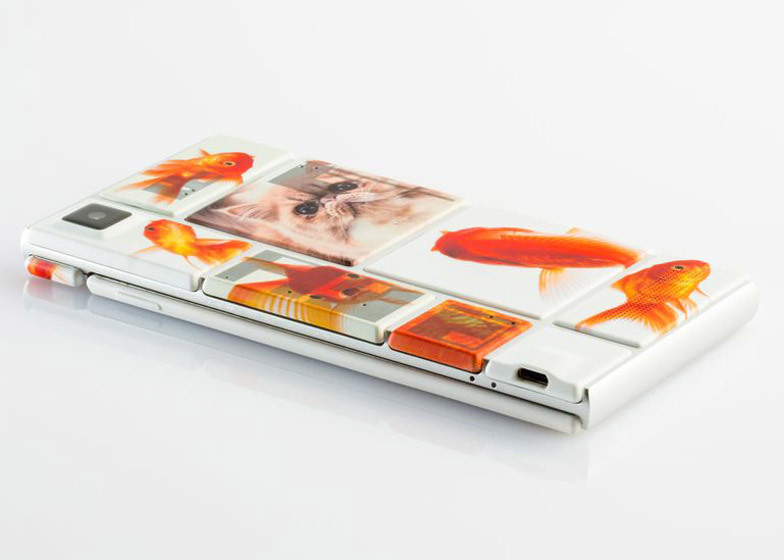 Unlike a traditional smartphone that has all of its functions hidden inside, this device comprises a collection of components in various sizes that slip onto a shell. 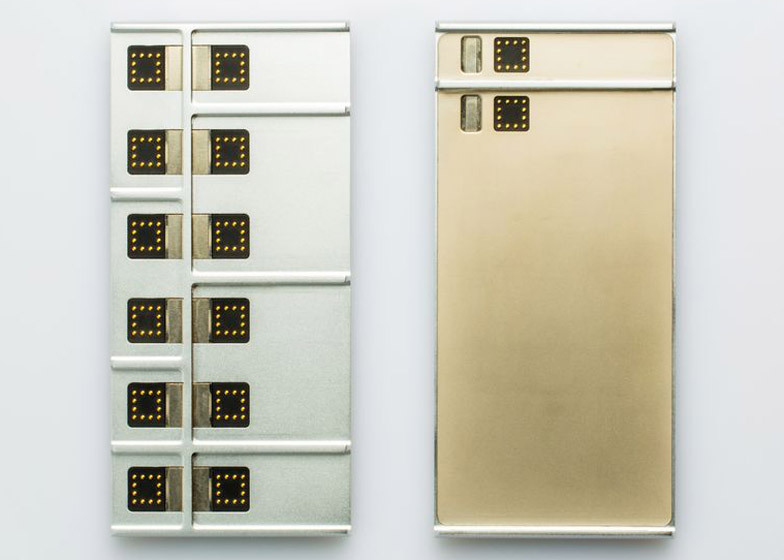 Held in place with magnets, these blocks can be interchanged or replaced if broken to make the phone last longer. 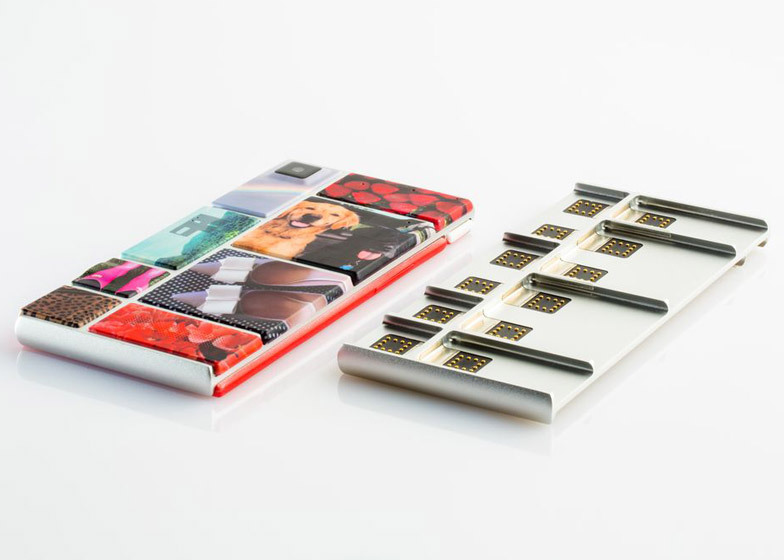 "You could change the design all the time," Project Ara's head product designer Gadi Amit told Dezeen during an interview in September. 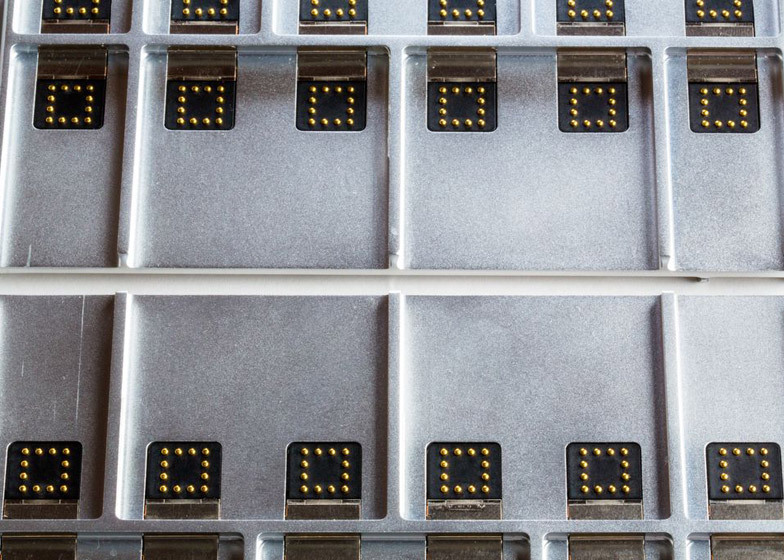 "Conceptually it's the first time a major electronic object, your phone, will not only be designed but also manufactured, if you wish, by the end user." 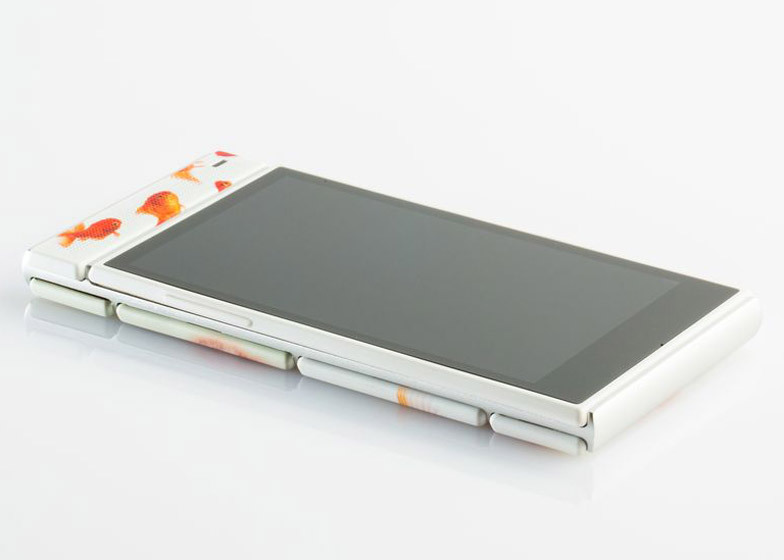 The prototype is a development of the design that Google-owned mobile phone company Motorola released in 2013. 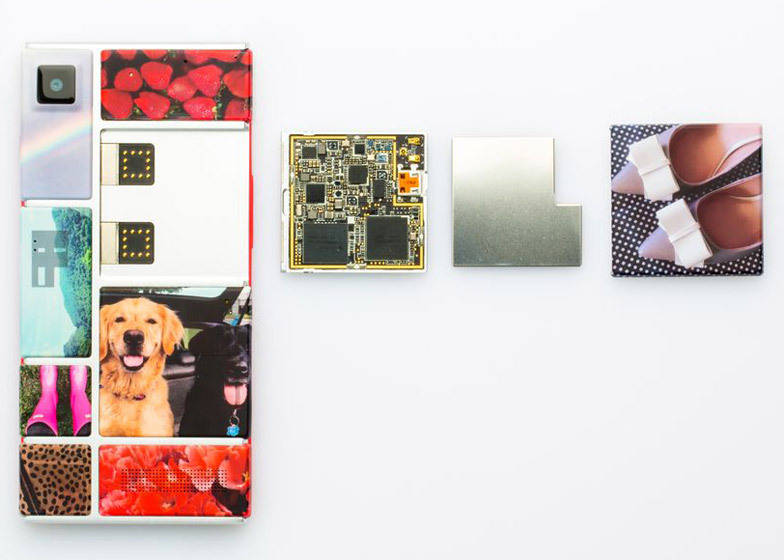 Google's Advanced Technology and Projects (ATAP) group – previously a division of Motorola – also released a video demonstrating the various add-ons that can be placed into the slots on the front and back of the device. 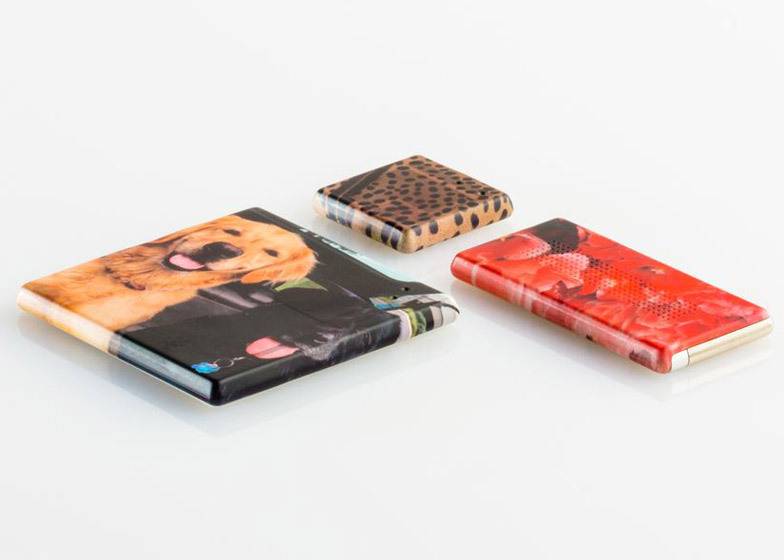 "This is a very relaxed approach to technology," said Amit. "This is not about fetishising electronics, it's very common sense. If you want to do more you can do more, if you want to do less, you can." 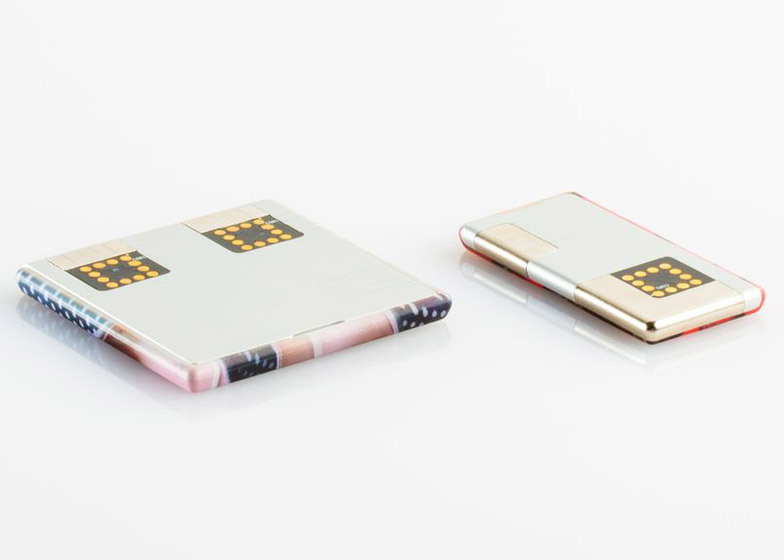 A large screen takes up the majority of the phone's front, with a thinner slot above for another component containing a receiver, light and proximity sensors. If the screen cracks, it can be swapped for a new one so the user doesn't have to buy a whole new device. 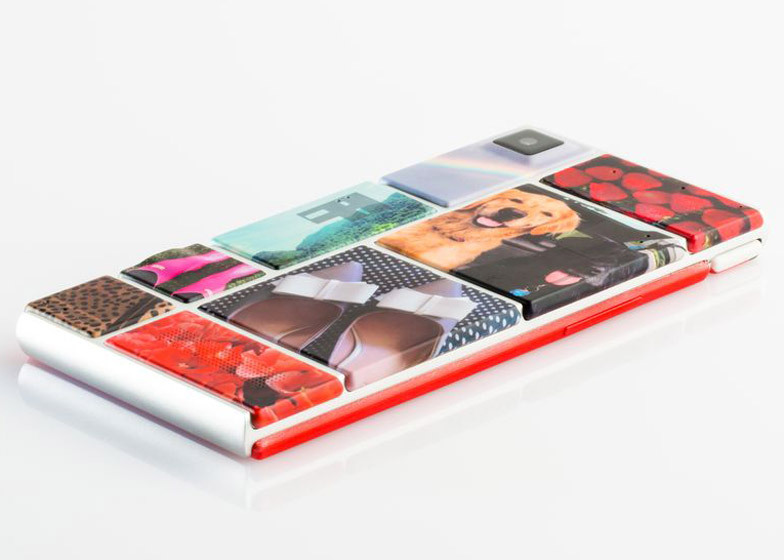 "[This] will be very very useful to people who don't want a new phone," said Amit. "It's a big chore to have a new phone and it's very expensive." 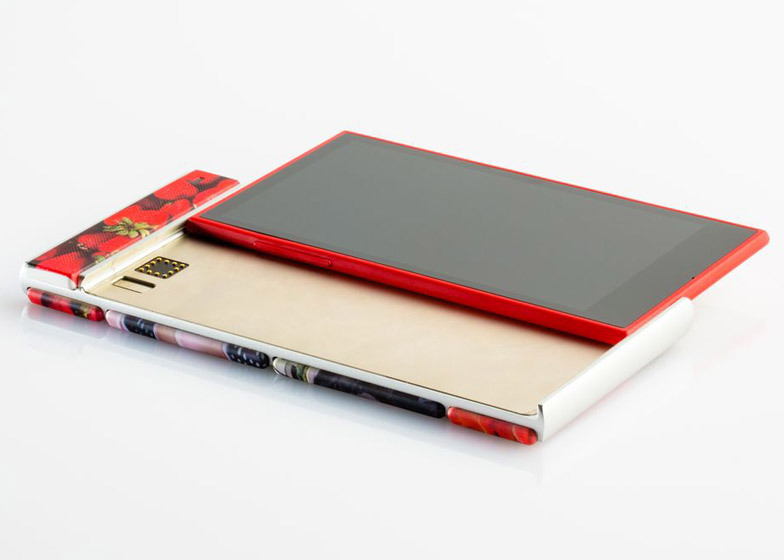 Essential functions for the phone's operation that can be added to the multiple slots on the back include a Wi-Fi module, a 3G modem, antennae and a USB charging port. Other optional modules include a camera, a speaker, extra batteries, a compass and a heart-rate monitor. The video also suggests that a night-vision module could be developed and added to the range. 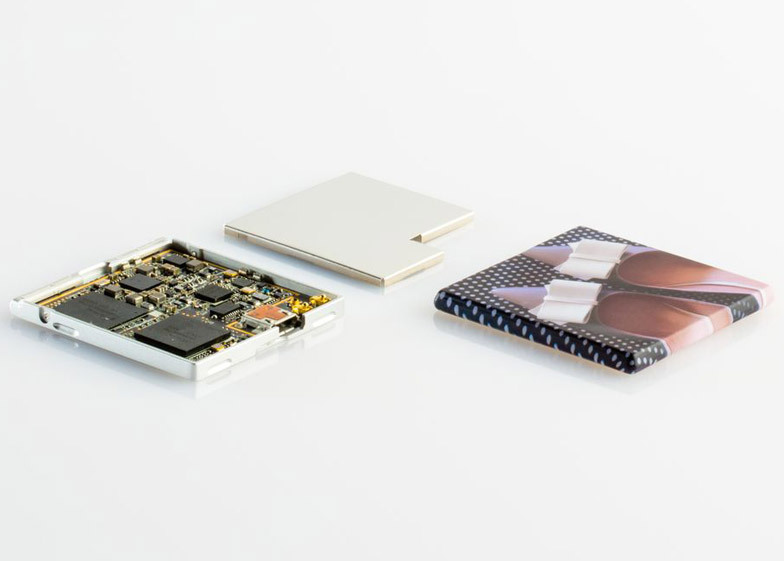 Currently in three sizes, the blocks are being developed by a number of external technology companies as part of an open-source system. 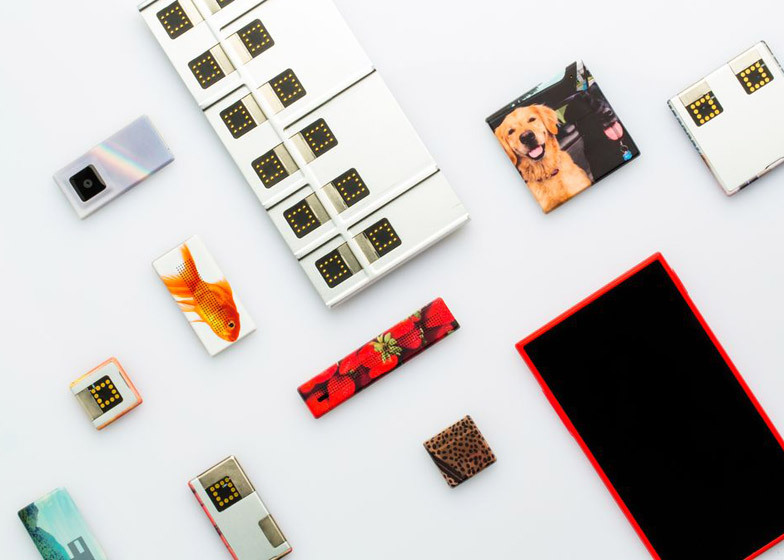 "It's an open architecture so there are quite a few third parties that are developing modules for that," Amit explained. "We created a concept that is an open platform – there are only three sizes of blocks, so you could actually pick your size that fits your technology." 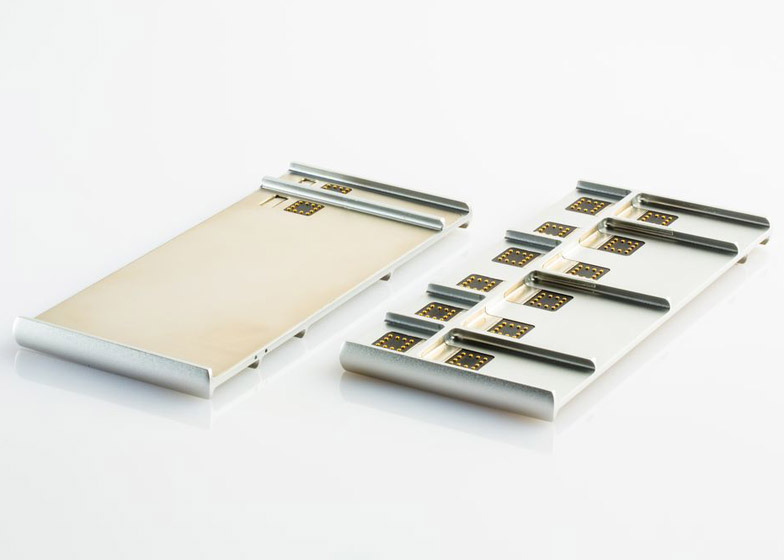 The prototype currently allows a dying battery to be replaced with a charged one while the phone remains on for 30 seconds. Google aims to extend this timeframe to one to two minutes. 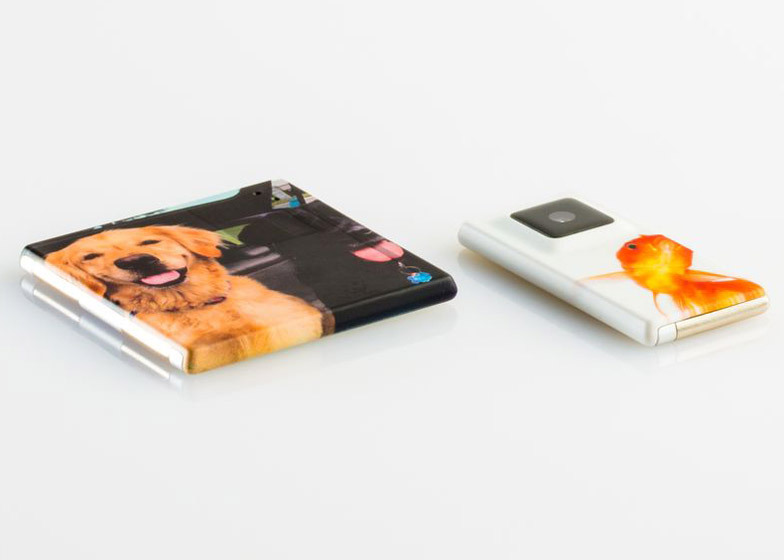 "If you lose a battery you can replace it, without losing a call," said Amit. "Or, for instance, you go to a party and take a few cameras in your pocket and swap them." 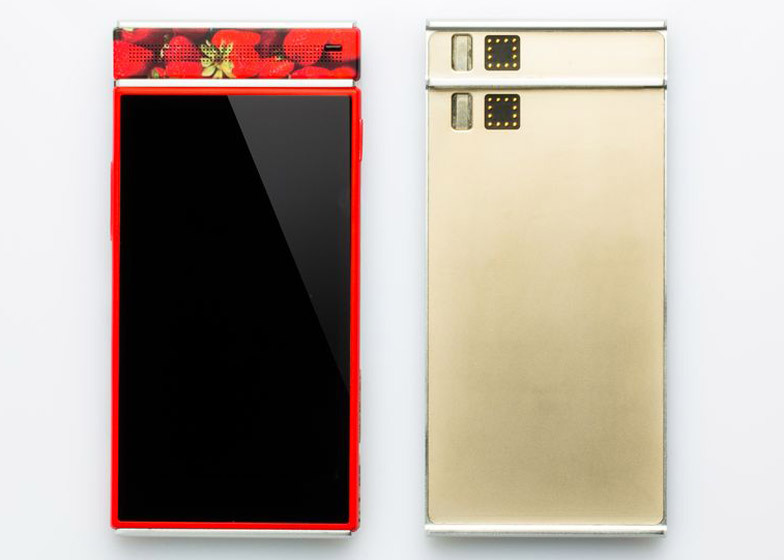 The phone will be pilot-tested in Puerto Rico later this year, with 20 to 30 available modules. In a separate project, Google is researching ways to equip smartphones with the ability to map their surroundings and build navigable three-dimensional virtual environments.